SARATOGA SPRINGS, New York (AP) -- Bob Dylan would surely still recognize the low-ceilinged room in Caffe Lena where he played a couple of gigs almost 60 years ago. But just about everything else about a venue that bills itself as the nation’s oldest continuously operating coffeehouse has undergone some major upgrades as part of a $2 million renovation project bankrolled in part by folk music performers themselves. Dylan performed twice there early in his career, when the young singer born in Minnesota as Robert Zimmerman was just making his way onto New York City’s folk scene. The same brown wooden shutters bracket the windows and the same exposed brick wall provides background for the corner where he sang and played acoustic guitar during weekend performances in 1961 and ’62. But the old plank floor worn smooth by countless tapping feet is gone, replaced by a new hardwood version. The narrow staircase leading to the second-floor venue also has been replaced, as has the small stage, sound system, kitchen and restrooms. Seating has been boosted from 85 to about 105, and wine and beer are being served for the first time in the venerable coffeehouse’s history. Yet when the newly installed lighting dims and the night’s performer hits the first chord, Caffe Lena still has the intimate setting that generations of musicians and folk music fans have come to revere. Caffe Lena recently reopened after being closed for six months for the renovations. Performances were moved to other nearby venues in Saratoga Springs, the famous resort and thoroughbred racing town 265 kilometers north of New York City. Under a philanthropic partnership with a local developer, the organization turned over its adjacent small parking lot to the builder, who’s constructing a four-story building that will house condos and retail businesses. Among the folk musicians contributing funds: Arlo Guthrie, honorary chairman of the coffeehouse’s fundraising campaign. Locally and regionally known musicians have also pitched in, while other performers -- including Peter Yarrow and Noel Paul Stookey of Peter, Paul and Mary fame -- contributed vocals for a fundraising video. Caffe Lena first opened in May 1960, by Lena Spencer and her husband, Bill, bohemian artists from Massachusetts. 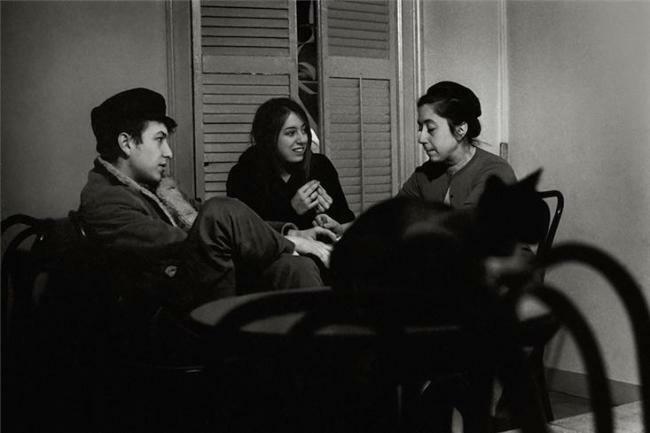 He left not long after Dylan’s performances, but Lena stayed on, gradually attracting a dedicated following and booking an ever-growing roster of folk music stalwarts, including Dave Van Ronk, Joan Baez, Don McClean and Guthrie. The renovations were long overdue in a 120-year-old building that wasn’t up to code, Craig said. For George Ward, a folk musician and longtime Caffe Lena performer and supporter, the face-lift hasn’t erased the venue’s downhome vibe.